I had a fun experience last week, driving along listening the always engaging public radio show This American Life hosted by Ira Glass. As I was listening to the story, which featured a museum interactive, I suddenly came to a realization: “they’re talking about software I developed!” The software, though not named, is the “All About Me” program we developed with Healthworks Museum in South Bend, IN several years ago. (link to story, 7 minutes at the top of the program). 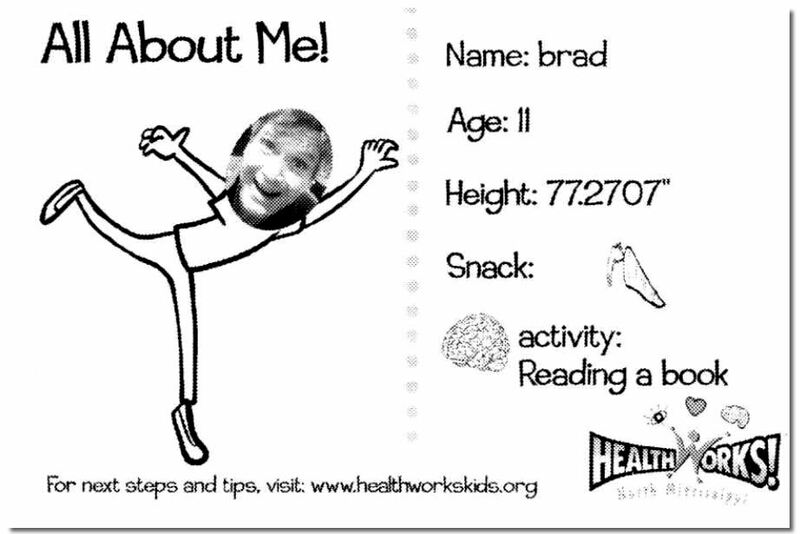 “All About Me” creates a playful postcard of the visitor incorporating their image doing a healthy activity like swimming, biking, or playing soccer (see below). The program also interfaces with an ultrasonic sensor to measure the visitors’ height, and incorporates answers to a few questions on healthy behaviors. The goal was to create a tangible takeaway to keep a connection after the museum visit. Great to hear in the opening segment about the “really neat identification card” that people were all excited about. And I’ll chalk up the reference to the “pages and pages” described in the questionnaire to poetic license in the context of building a compelling story. It’s a sweet story — a story about the misunderstandings that can occur when well-intentioned people hear and interpret things differently. To me, it’s also a reminder of the kind people I’ve worked with on the project, including Healthworks staff, Jeff Kennedy Associates, David Michaud, FableVision/Peter Reynolds, Crispin Wood, and more.